Bali Hotel Ulun Ubud Resort is built on the steep-walled valley in front of the turning route on the way to the center of Ubud. All guest rooms have big terraces and face to view of valley. 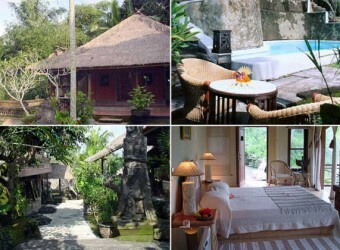 In the classic Bali style hotel, there are Bali-like picture and decoration with the artistic atmosphere. You can enjoy a dynamic scene from the room that is built as sticking to the slope.